Gianluca is telling us about a novelty, today they will go to do a photo shoot, (or maybe a video) in the marble quarries of Massa Carrara. G = Hello everyone, today we will have the privilege of doing a photo shoot in the marble quarries of Massa Carrara, I’ll show you how wonderful. You got it, right ?? They are in Massa Carrara, in those caves, where Michelangelo wandered around to take the most beautiful marble, from which his fantastic statues would come out. G = We are ready for today’s photo shoot, Paolo is removing the dark circles from me, I need it. There is Ignazio who is doing his hair. G = ready for this adventure? The road to get to the top is not very easy, and there are cliffs and someone is scared. Michele = But where the hell are you leading me? I = Here there is someone who is afraid …. Michele, Michele (laugh) Michele, come on, we are still low, we are high at 600 meters. Michele = No, no. There is still the precipice. G = It’s very cold, a nice hot tea! G= We are returning to the base for the lunch break. G = It’s very cold …… what a marvel. Maybe it’s not just any photo shoot, but it could be the cover of their new CD, you think, do you like the setting? Previous PostIL VOLO SINGS FOR POPE FRANCIS by DanielaNext PostIt’s Birthday Time Again! Gianlu! Grazie Daniela, I could pick out some words to get an idea of what was happening but your translation was so much better than guessing. We always love to hear Igna laughing even when he is teasing poor Michele. I think they are making a new video to go with the CD. But what is Ignazio saying in the last clip? Has he become a vegetarian? RoseMarie, hearing Ignazio joking good-naturedly on Michele, made me laugh so much. I think it was just a photoshoot but I think it was also for the CD cover. In the last clip, Ignazio looking at a large piece of grilled meat says he chose the worst moment to become a vegetarian! After viewing so many different videos on facebook of this outing and not understanding the language, therefore had no idea what was being said, what was happening, you brought it all together with explanation, I am so grateful. Thank You So much. Connie, I’m very happy to have been helpful with my translation. Having walked around the quarry I am amazed that Michelangelo could look at a shapeless piece of marble and imagine what the beautiful result would be.Truly amazing !! Thank you Daniela again for keeping us in touch with the Guys “escapades”. Do you have any info, no matter how small, regarding the new CD? Thanks again. I agree Marion, for us it is only a piece of marble, but Michelangelo understood the hidden potential. 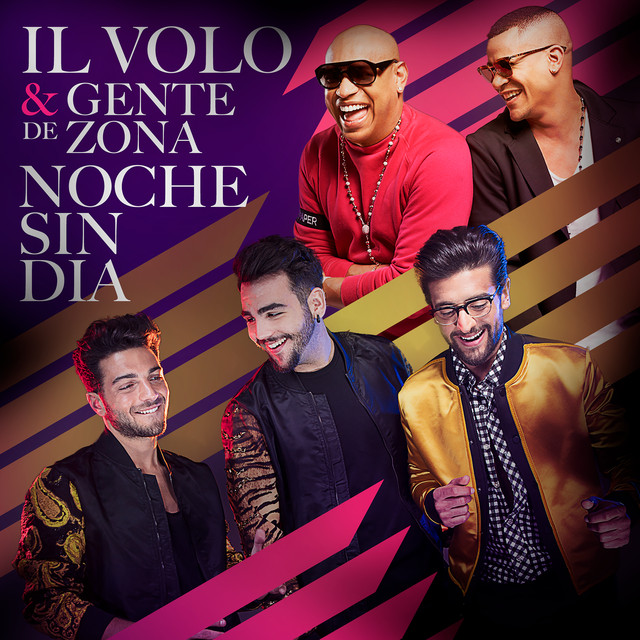 Yes Marion, there is news on the new CD, January 29 at Sony in Milan, Il VOLO will have a press conference where will list the various commitments of 2019 and 2020, they will easily present the new CD and also talk about the tour. Thank you Daniela for the info re the CD. I do hope it will come out soon, and that they will make it to USA sometime in 2019..I can only live in hope !!! I wish they make a new video. Thanks for explaining all the pictures I have seen. Gina, the photoshoot was Saturday or Sunday, today they are shooting the new video. There are videos while the guys are at the trick, on the fanpage. We will see all these news immediately after Sanremo. Si Maureen, Carrara marble is one of the most beautiful in the world, if not the most beautiful. I think Torpedine would not accompany them on the Mt.Washington! Makes sense for an album cover for Music That Remains—marble that remains. Daniela, I have so appreciated all your posts and translations. I am very grateful to you. I live in Oregon in the United States and I am 62. 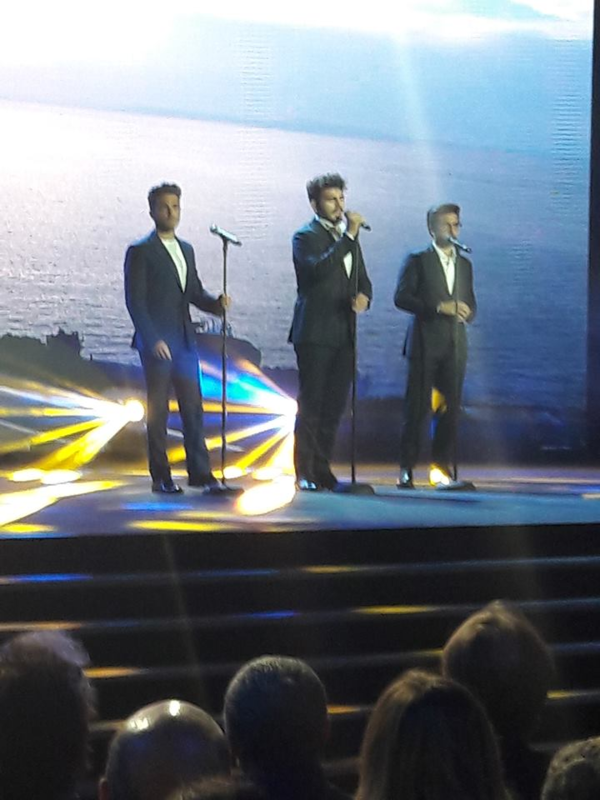 Just recently I have discovered IL VOLO and I am extremely impressed with their skilled talent, extraordinary personalities, their great love and tenderness toward their fans. What honorable men they are—and in truth were even 10 years ago. (I am playing catch up on their careers). Hello Crystaldawn, welcome to the group of fans of IL VOLO, you have 10 years of backlog to recover, and you’ll be amazed that the more you know them and the more you would like to know about them. At the beginning it is like this for everyone, we want to know as much as possible, they come into circulation (benevolently) in us. Because they are excellent artists, talent is undoubted, but we also like their way of being with people, their relationships with families, who love and respect and also with their land, their beloved Italy. Ciao da Brescia-Italia! Beautiful your vision of marble as parallel to the MUSICA CHE RESTA, very beautiful. Their love of family—especially their mothers—warmed my heart. I am a mother of three, just a few years older than these fine young men. I love Italy and in truth will be visiting several cities in early May. Additionally, I will be visiting Osaka Japan to meet my first grandchild, Fiorina. I hope to attend my first IL VOLO concert on May 22 in Osaka, but have not yet purchased a ticket as my travel plans are still a bit fluid. I am concerned about obtaining a ticket as now they perform to sold out audiences—which is wonderful for them. I am so delighted for their success. Any suggestions or insider tips for tickets and the meet and greet? I would love to exchange hugs with them. I have to tell you that attending a concert is a fantastic thing. I have seen, only 4 concerts, but all magnificent, in particular the first MAGIC NIGHT in Florence. I have never seen a meet and greet, because here in Italy there were not. They introduced the meet and greet last year but I did not participate. Some people say that they are very happy to embrace them, others complain that it’s too short, in fact I think it depends on the type of organization. I have been to an instore and the guys were very kind, I told them that I was part of Flight Crew, but the organizers kept saying to go on, it was too fast. When you will be in one of their concerts you will notice that their voices are better heard live. Congratulations on your first granddaughter! I’m glad you like them, thanks to you, Catherine, who follow us. So good to know what the boys are saying! Thank you! I understand you, Rae Jean, it was the same for me. When you see some video or particular article, ask. Thank you for the translations, Daniela. Thanks so much Daniela for the videos and translations. The marble looks beautiful even as it is. It is a unique place to have a photo shoot. Thanks also for the information about the press conference and news about the new CD. I am hoping that we will also hear at this time that they will be touring in the US this year. I hesitate to make vacation plans since I would hate to miss them! Margaret, very little is missing, in a few days we will know their plans, I can not wait. From how it started, I think it will be a very busy year for them … and for us. For once, some exciting news! G – Can’t use that picture for your next album. A very important member of the group is missing. You know, the one with broad shoulders and killer dimples!